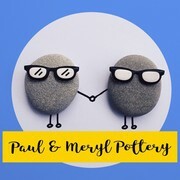 Original and unique pottery designs hand painted by us at our home studio in North Wales. Suitable as home decor and also for everyday use. Perfect for the curated collection look of 2019. 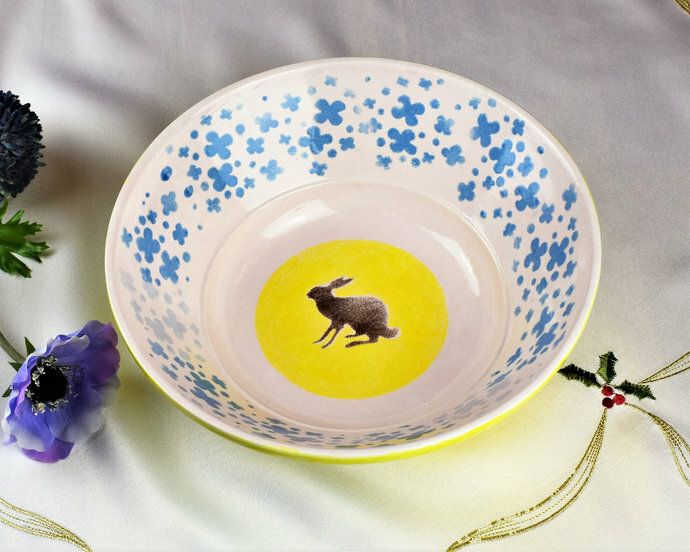 This beautiful decorative bowl is a one off design, it has a dark brown hare sitting with the bright yellow sun behind him. 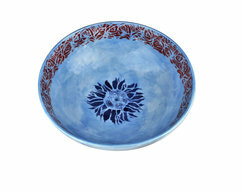 The inside rim is decorated with blue cornflowers. 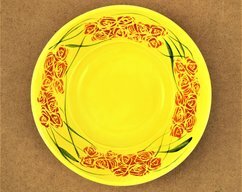 The outside of this pottery bowl is yellow with a repeat floral silhouette. Food safe and 100% lead free ceramic glazes. The dimensions are Diameter 24cm x Height 9cm. It is a finished item and is ready for immediate despatch. Uk delivery 2 working days. USA delivery 5 working days. 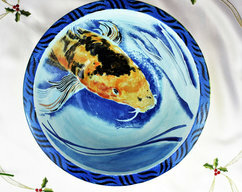 This decorative bowl is a signed piece of ceramic art and also comes with a signed certificate of authenticity. 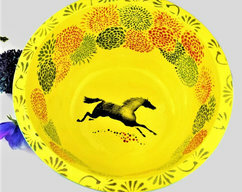 Home decor, Fruit bowl, Hand painted ceramic, Black horse and floral design, Decorative bowl.